Rear Travel Cases work great for all types of rear racks or receiver style bike racks. Protects bikes from salt and road grime. Easy installation and three sizes available depending on rack style and number of bikes. 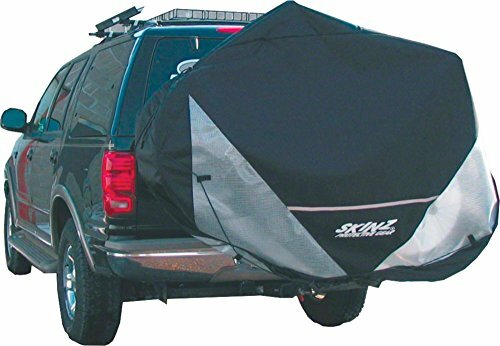 Bike Cover has optical windows in lower corners for tail light visibility. A version is available with a light kit if needed. If you have any questions about this product by Skinz Protective Gear, contact us by completing and submitting the form below. If you are looking for a specif part number, please include it with your message.